Brad Bakker, Carmen Francis, Gerard Hempstead and Taryn Pulliam have all demonstrated their dedication to CHMO’s mission of guiding youth from homelessness to hope. Bakker, an attorney with Armstrong Teasdale LLC, has previously supported CHMO as outside legal counsel. He has also provided pro bono legal services on behalf of people without homes and those who have been wrongfully convicted. Bakker is involved with other community nonprofits, as well. All of Francis’ volunteer work has centered around children, particularly advocating for children’s education. 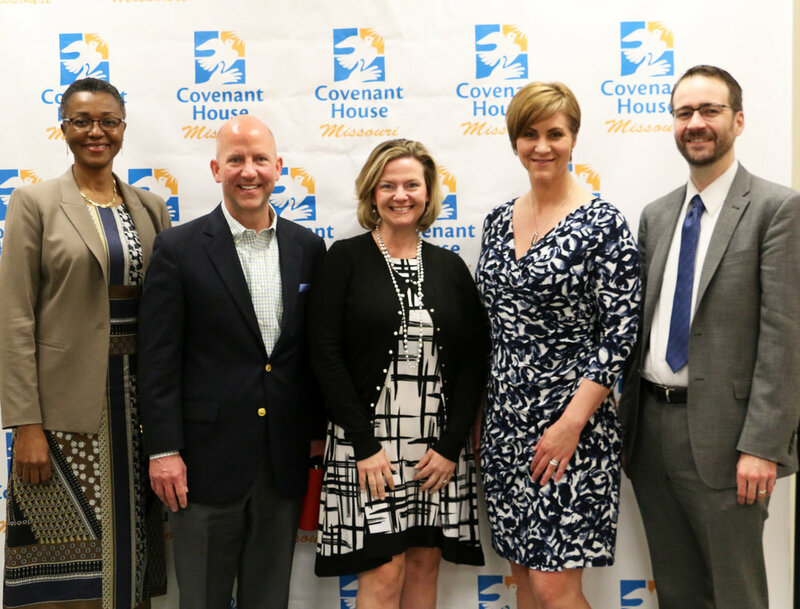 “Covenant House is an evolution to my passion – from children who have an easy pathway to education to children who have extreme challenges to get on the path of an education focus.” Francis serves as IT director at Centene Corporation.